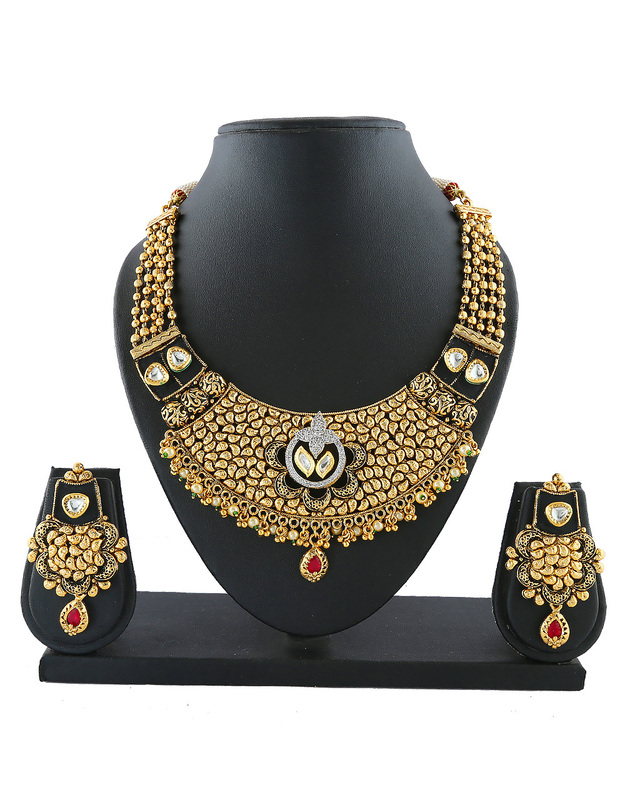 If you are fond of holding designer accessory then you must pick this golden finish wonderful necklace set from Anuradha Art Jewellery. 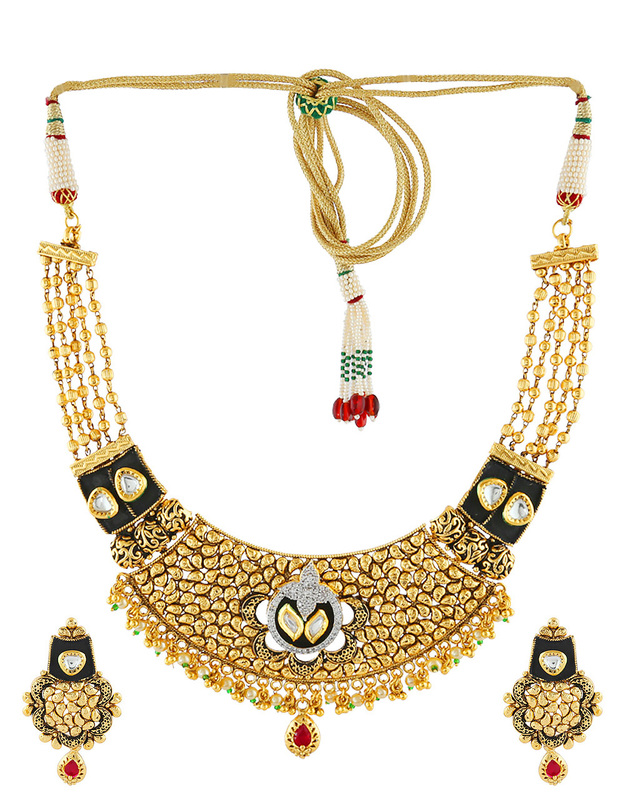 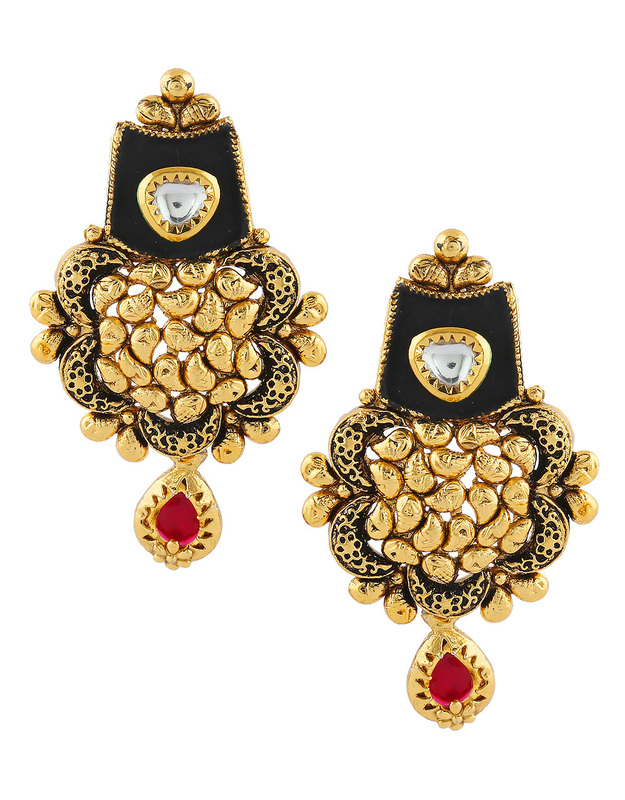 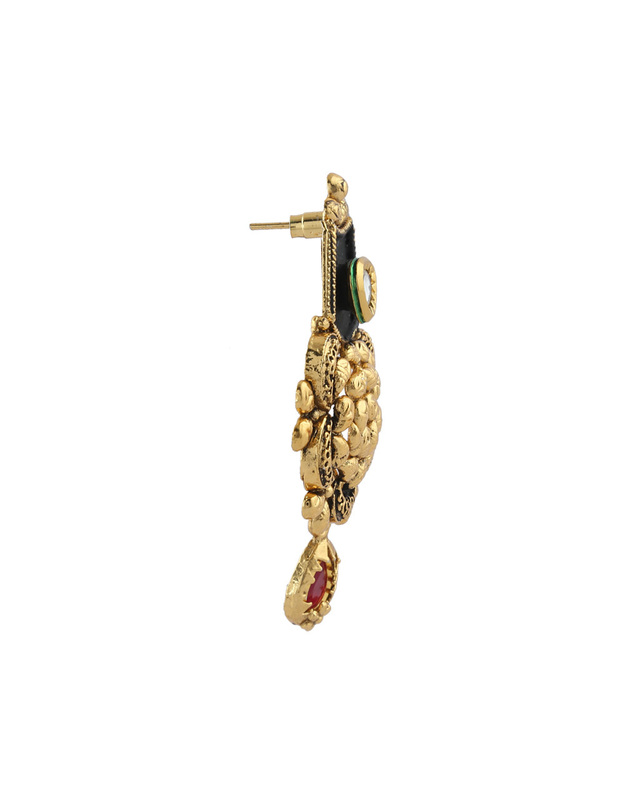 It is embedded with American diamonds along with kundan and pearl beads. 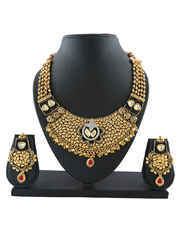 This necklace set feature eye-pleasing intricate carving design on metal surface. In addition the neck-piece comes with adjustable dori, so that you could fit it properly according to your neck.